CT Ingenieros is an engineering company, a leader in technological innovation throughout the product lifecycle, from concept to post-sales services. The company has an established staff of engineers and technicians proud to participate in innovative industrial programs in Europe. 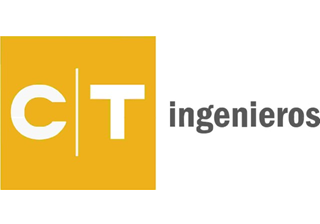 CT Ingenieros belongs to The CT Engineering group, an international engineering group with offices in Europe, America, Asia, and a leading supplier of industrial companies in the aviation, automotive, rail, marine, industrial plant, and renewable energy sectors.